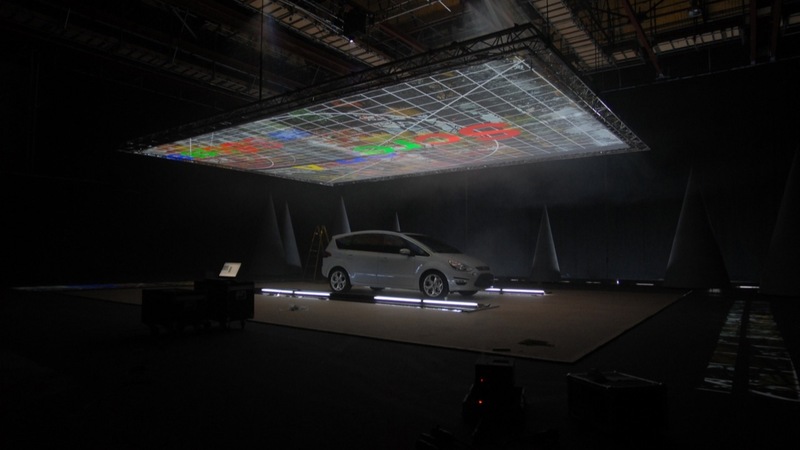 Back in 2009 Event Projection was approached by production company Blink for a Ford S-Max projection mapping commercial. We worked with them in creating the TV commercial for the new Ford S-Max Car which hit our screens in May of that year. Projection mapping onto a car was relatively ground breaking at the time, and Blink trusted Event Projection’s expertise with technical production and vast experience with projection. 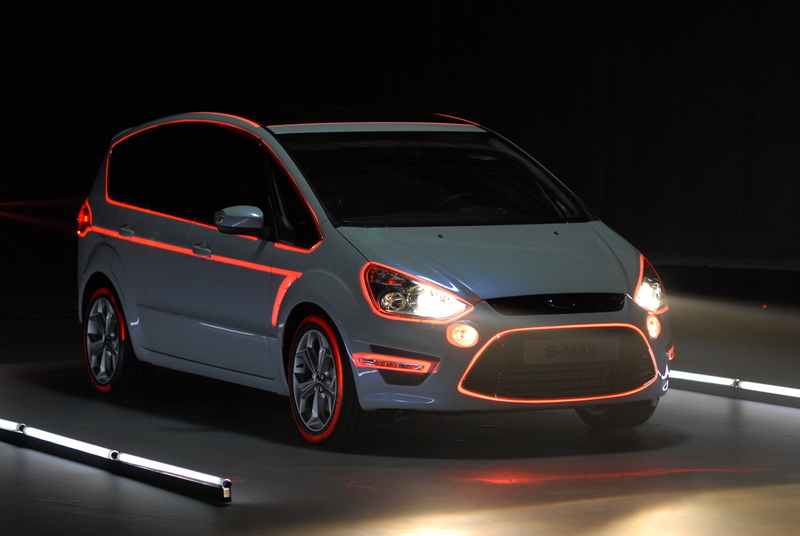 The story board was an ambitious one requiring the projection of extreme sports footage and bespoke 3D animation onto both the exterior and interior of Fords new vehicle. Projection featured heavily in every shot as the whole advert was captured in-camera so it was crucial that Event Projection was involved from the beginning of the project, as the storyboard developed and the footage was prepared. This was to be an extremely technical and complex undertaking. We quickly came to the conclusion that this project could only be carried out successfully using the latest in digital technology. 3D modelling was used to calculate the position of the projectors and to visualise the distorting effects of projected images falling onto the 3D surface of the car, essential preparation to ensure every pixel fell on the correct piece of the car. That which could not be pre-prepared was left down to the latest in digital video technology and with such a pioneering project there was only one choice for projectors. Throughout the shoot four Christie Roadster HD18K projectors equipped with twist pro modules for precise image warping and blending were used. These Full HD, 18000 ANSI Lumen projectors have proved themselves time and time again providing unparalleled brightness, colour accuracy and all important image warping and blending. Footage playback was catered for by a LAN synced set-up of MacBook Pro Laptops running Playback Pro software which were all fed into a Vista Spyder video processor. This allowed for scaling, matrix switching and manipulation of the multiple sources so that the shots could be lined up and ready for shoot with precision. 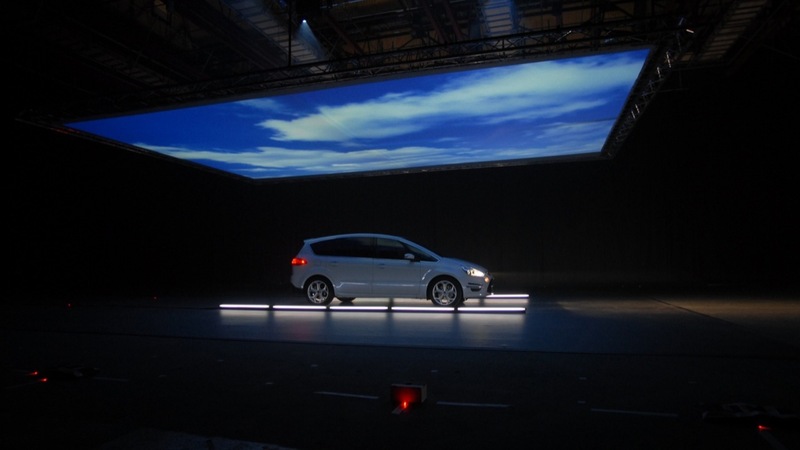 To find out more about the Ford S-Max Projection Mapping commercial, or indeed any other ground breaking projection mapping stunts, give our expert team a call on 020 7232 1748.